Her smile can only be seen at night. It lights up the sky. Yet her attention is fickle. She saunters into the month. Just when hearts relax under the warmth of her beams, she snails an exit. We are powerless to retain her. Behind the veil she disappears. And in the solemn darkness we stand empty. But not empty handed. She leaves gifts. From her garden we eat mystery. Small fruits of the earth. Silky sponge with enough tooth to masquerade as meat. A heavenly incense. Potent flavors that require pairing with other things. It’s a back up singer with shapely figure. Hips swaying just out of the spotlight. Elbow gloves lifting to the sky as the crescendo mounts. In the common tongue, we call them mushrooms. They are the fleshy umami that hid in shadows by day and blossomed at night. And under the dexterous hand of the kitchen, they are raw materials for a flavor bomb. 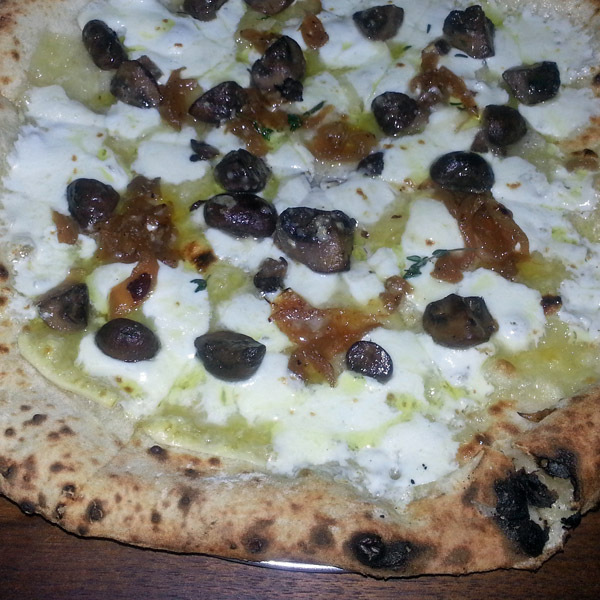 It’s what spins the mind on a pizza with pesto at Cipollina. Or snuggles with Taleggio at Bufalina. Maybe it dances with ribeye and red wine demi-glaze over mash at Goodalls. Or it muscles up pure play spinach salad at the Easy Tiger. 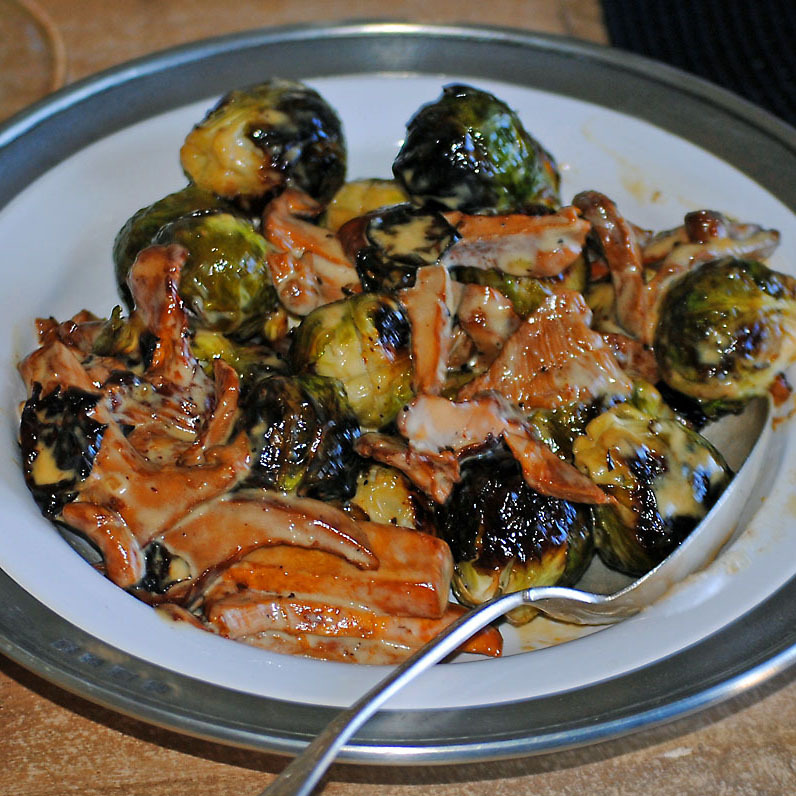 Or serenades roasted brussel sprouts coated with reduced cream. And no law prohibits the intermingling of varieties. It’s what the wizards at A16 conjure up with their wild mushroom pie. Paul Qui stabs at the musty darkness of black rice with spear-sized king oyster mushrooms. On Robert Del Grande’s canvas we admire a royal portrait of three families stacked on a grassy knoll. 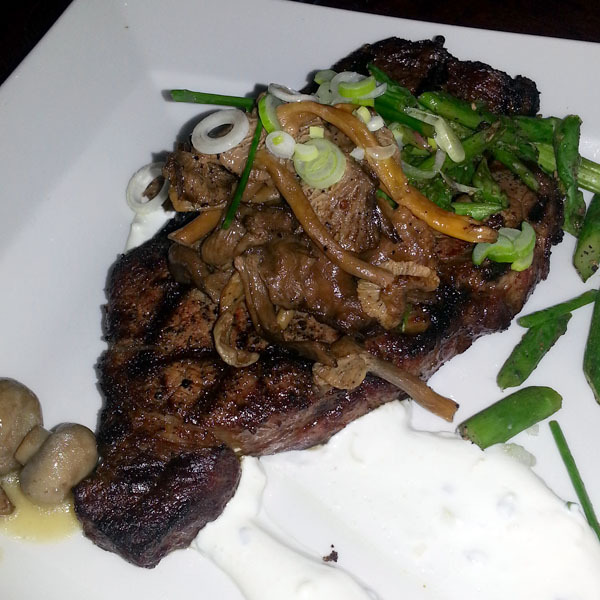 Texas beef, Maine scallops and Michigan chanterelles once solo rockstars. And at RDG a single harmony with poblano cream. Just. Enough. Zizzle. Today we honor the mushroom in all of its personas. We thank Lady Moon and the tender hands of chefs everywhere that lead us from the profane to the divine. Beautiful and so tasty. My Portabello sang to me last night.